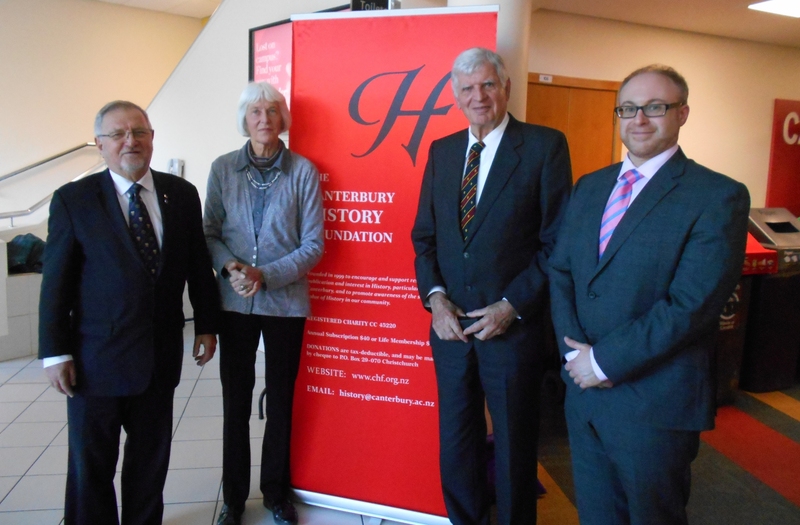 Sponsored by the Canterbury History Foundation, the 2015 Annual Jim Gardner Lecture at the University of Canterbury was given by Dr Chris Jones who presented on the Magna Carta – 800 Years and Beyond. Introduced by the Chancellor of the University of Canterbury, Dr John Wood, this fifty minute lecture began by highlighting the continued relevance of the Charter in American and New Zealand courts and in British political life. It continued by exploring some of the common myths that have accumulated around the Charter and subsequently considered three aspects of Magna Carta’s history: its origins in the conflict between King John and his barons; the reasons why the Charter continued to form a part of the political discourse of England and further afield after John’s death; and finally the question of whether the Charter remains relevant in New Zealand today. As well as considering the Charter’s past, the lecture reflected on its future, and in particular on its potential ‘bi-cultural’ vision. The original 1215 Charter contains a series of chapters that deal with Welsh affairs. These suggest that the Charter recognised a society in which multiple laws could co-exist on an equal footing. Although this theme was quickly erased by the time of the Charter’s first re-issue it enables reflections on an early vision of a ‘bi-cultural’ world, the way in which it operated and what lessons it may have for modern New Zealand. Dr Jones’s text is to be published as part of the Canterbury History Foundation’s annual lecture series. Following the lecture, the Rhodes Medal was awarded to Mrs Kate Foster for her outstanding contribution of Canterbury history.